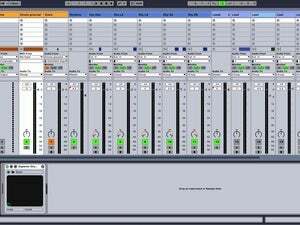 Mixcraft 5 is my second budget digital audio workstation (DAW) find in two months. Coming on the heels of my introduction to Magix Music Maker 16, M5 proved to be another worthy product working its way up the food chain from humble beginnings. The list of features introduced since version 4.5 should give you an idea of the designers' ambition: track level automation, a mixer with per track EQ, track notation, tube EQ and amp simulator FX, 5 new VSTi virtual instruments, and built-in noise reduction. That's a lot to work into an existing product, but Mixcraft 5 fits it in without unsightly seams. Note: This download is a small Web-based installer, which downloads additional data. Installed, the program took approximately 180MB of disk space.